Just before we were all on our way to go on a summer holiday and spend time with family over Christmas, it was that special time of the year again to get together as fellow consultants and business women in conclusion of yet another successful year. 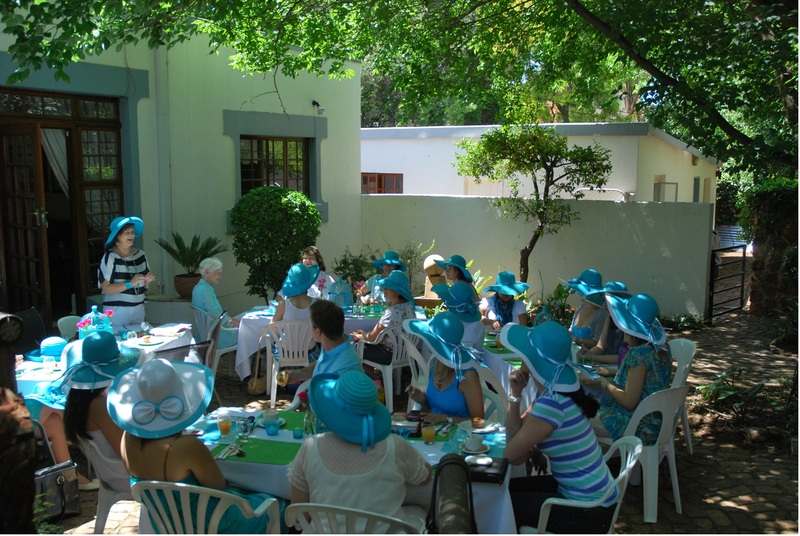 On Tuesday 26 November 2013, consultants of Sanette Horn’s downline celebrated the end of 2013 with a lovely meeting. As it is with Sanette, she out done herself and put a lot of effort into making this event special for everyone. She has done so for her entire established downline of consultants across the country since she joined Annique in 1987. Because of her contagious enthusiasm and passion for Annique, it allows her to really put the hours and personal involvement into her business and really makes it “Simple, fun, easy”. It comes as no surprise that Sanette Horn is currently in the top 10 Annique consultants nationally. The order of the day was not excessive business talk and work. Instead it was a very fun day, themed ‘Summer holiday’ and the colour turquoise. Everyone dressed accordingly and received lovely beach hats on arrival, proceding to enjoy wholesome breakfast snacks and refreshments. As it was an informal meeting, we started off with a reflection of the year that had passed and how new strategies worked for each person to improve on their business. After the inspiring group discussion, it was time to announce achievements and hand over awards to all who excelled throughout the year. This award was handed over to Hannelie as she proved remarkable results. From August 2013 to October 2013, she boasts with a sales figure of R107108.63 – astounding considering that she has just started out with Annique and also in these 3 months managed to recruit 5 other consultants. With the formalities out of the way, the celebration was kicked off with a delicious fruit cocktail and a game of ‘How well do you know…’. What a delight it was when lunch was served! A delicious spread of salad, freshly baked health bread and fruits fit for a queen – then rounded off with cheesecake and delectable chocolates. This was not the end, as little gifts were then exchanged for Christmas. After all the excitement, everyone sat together in a circle and shared their hopes and dreams for the next year alongside a cup of coffee. It is truly moments like these that makes one realise again what a massive impact Annique and your team has on your life and how easy and efficient it was to start your own business. Great success is within reach and the support is endless. Sadly the day came to an end and everyone greeted farewell wished each other their best wishes. Sanette would like to thank everyone for their hard work and support during 2013. She wishes everyone to enjoy the festive season with their loved ones and have a good rest before we “Kickstart your business” on 8 February 2014.